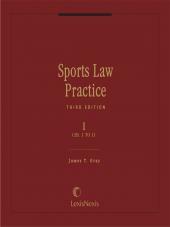 Gaming Law & Practice addresses the framework of legalized gambling in the United States today. Today, there are over 500 commercial casinos, as well as card rooms, racinos and race tracks spread throughout the United States, as well as almost 500 Indian casinos operated by approximately 240 tribes, together generating approximately $70 billion in revenue annually. Recently, state legislators have recognized that legalized gambling provides an avenue for significant revenue generation for state and local government as well as increased capital investment and employment opportunities. 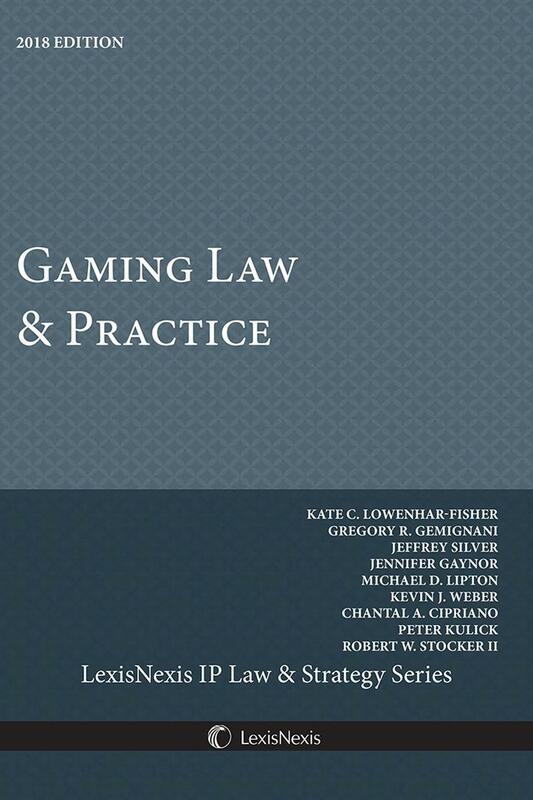 Gaming Law & Practice addresses the framework of legalized gambling in North America today, with specific chapters on Nevada, Michigan & Canada each offering differing approaches to the regulation of gaming, and now including a new chapter dedicated to Indian Gaming. Kate C. Lowenhar-Fisher Member, Dickinson Wright PLLC. Kate Lowenhar-Fisher is a member and Gaming Practice Group Chair of Dickinson Wright PLLC, which has offices in nine states, the District of Columbia, and Toronto, Canada, and cooperation agreements with law firms in Bulgaria, Macau, Malta, and Peru. Kate is a leading Nevada gaming attorney who counsels many of the world’s premier gaming companies on regulatory issues in connection with mergers and acquisitions, corporate restructuring, reorganizations, and financings. She has extensive experience advising clients on issues related to Internet gaming, social gaming, fantasy sports, liquor licensing, nightclubs, restaurants, sweepstakes, contests, and promotions. Kate regularly represents individuals and businesses before regulatory agencies, including the Nevada State Gaming Control Board, the Nevada Gaming Commission, the Clark County Liquor and Gaming Licensing Board, and the Las Vegas City Council. She is a member of the International Association of Gaming Advisors and the International Masters of Gaming Law. Kate has been ranked by Chambers USA as a top Gaming & Licensing attorney (Band 3), and has also been recognized for several years by Mountain State Super Lawyers. Gregory R. Gemignani Member, Dickinson Wright PLLC Greg Gemignani’s practice focuses primarily on sports wagering law, e-sports gaming law, intellectual property law, gaming law, technology law, internet law, online gaming law, and online promotions law. He has represented many clients ranging from the largest casino companies to start-up internet ventures. Greg is also an adjunct professor at the William S. Boyd School of law teaching courses that include, Federal & Indian Gaming Law, Technology Innovation & Gaming Law, Gaming Law Policy, and Introduction to Gaming Law. He is a member of International Masters of Gaming Law and the International Association of Gaming Advisors, and has been selected for inclusion in Best Lawyers in America for several years. Jennifer J. Gaynor Member, Dickinson Wright PLLC. Jennifer Gaynor represents clients before the Nevada Legislature in Carson City, Nevada. She also practices before various professional and licensing boards and state and local tax authorities, and represents clients on matters involving First Amendment law, public records and open meeting law, gaming law and regulatory agency actions. 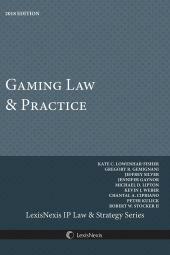 Jennifer is also a guest lecturer on gaming law at the University of Nevada, Las Vegas, William S. Boyd School of Law. She has been selected as a Mountain State Super Lawyers Rising Star for several years and recognized as a top gaming lawyer by Desert Companion magazine. Jeffrey A. Silver Of Counsel, Dickinson Wright PLLC. Jeffrey Silver’s practice at focuses on every aspect of gaming, liquor licensing and regulatory law. He has testified before the Nevada Legislature and U. S. Congressional sub-committees on gaming law issues and has consulted on gaming regulatory matters in several jurisdictions. Jeffrey served as a former Member of the Nevada State Gaming Control Board during the state’s tumultuous period of developing regulatory oversight. He is a Member, Counsellor and former President of the International Association of Gaming Advisors (IAGA) and the former Chair of the Gaming Law Committee of the American Bar Association. Jeffrey has been recognized for his expertise in Gaming Law by Chambers and Partners (Band 1), Best Lawyers (Lawyer of the Year for Administrative Law & Regulatory Law, 2013 and 2015) and Mountain States Super Lawyers (Top 100). Michael D. Lipton, Q.C. Michael Lipton has served as senior counsel on gaming law matters for over 25 years, regularly representing governments, operators, lottery corporations, and gaming equipment suppliers/manufacturers and counseling licensees throughout North America on gaming compliance issues. Michael is a founding member of the International Masters of Gaming Law and a past President. He was recognized by his peers for inclusion in Best Lawyers in Canada and by Chambers Global for his expertise in gaming law from 2008 to 2017. He is editor of Canadian Gaming Lawyer Magazine, has authored many articles in gaming publications, and has spoken at conferences throughout the world. Michael Lipton is a Senior Partner at Dickinson Wright LLP and Head of the Canadian Gaming Law Group. Kevin J. Weber. Kevin Weber has practiced gaming law for over 19 years, guiding clients through compliance issues with gaming regulators, and providing opinions on all matters relating to the lawful operation of gaming, both land-based and online. He is a prolific author and speaker on gaming issues, and has represented gaming equipment suppliers, casino operators, payment processors and governmental entities, among others, in their dealings with the complex issues associated with gaming compliance in Canada. A member of the International Masters of Gaming Law, he is recognized by Chambers Global and Best Lawyers in Canada as a pre-eminent expert in gaming law. He also advises clients on business immigration matters, facilitating cross-border transfers of personnel into Canada in multi-jurisdictional industries such as gaming. Chantal A. Cipriano. Chantal Cipriano is an Associate in the Toronto office of Dickinson Wright. Her practice includes advising clients in regards to compliance, governance, regulatory and due diligence requirements integral to the gaming industry. Chantal also advises on a variety of corporate and securities law matters, including registration and compliance obligations, with a particular emphasis on startup ventures and crowdfunding related matters. Prior to joining Dickinson Wright, Chantal was a Compliance Manager for one of Canada’s leading financial institutions, supporting the high net worth client division by providing advice on regulatory and compliance matters. Peter J. Kulick. Peter J. Kulick is a Member of Dickinson Wright PLLC and the co-Chair of the firm’s national Tax Practice Group. Peter has a multidisciplinary practice representing clients in the gaming industry, project development, tax-advantaged financing, and mergers and acquisitions. Peter is a prolific author of gaming and tax law articles published in leading publications such as Casino Lawyer, ABA Gaming Law Gazette, the Gaming Law and conomics Review, Drake Law Review, John Marshall Law Review and various other gaming industry publications and is a frequent panelist at national gaming law and tax law conferences. Robert W. Stocker II. Robert W. Stocker II has an international practice in gaming and regulatory law. 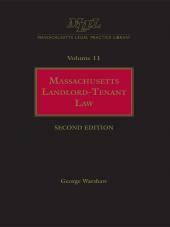 He is an adjunct professor at Cooley Law School, where he teaches gaming and business law. Stocker has been recognized by his peers for inclusion in Chambers Global, Chambers USA, and Best Lawyers in America. He is a founding member and past president of the International Masters of Gaming Law and past Chair of the Gaming Law Committee of the American Bar Association. Stocker has spoken on numerous gaming issues at a variety of national and international conferences and educational programs. § 3.06 The Johnson Act—15 U.S.C. § 1171 et. seq. § 3.07 Sports Wagering in the Wake of The Professional and Amateur Sports Protection Act—28 U.S.C. § 3701 et. seq. § 3.08 The Indian Gaming Regulatory Act—25 U.S.C. § 2701 et. seq. § 3.09 The Interstate Horseracing Act—15 U.S.C. § 1171 et. seq. § 3.10 The Unlawful Internet Gambling Enforcement Act—31 U.S.C. § 5361 et. seq.